Notes: Operations: Pursuit of 'Goeben', August 1914. Falklands, December,1914. Dardanelles, February, 1915. Jutland, May/June 1916. Plaque St. George's North east Wall. 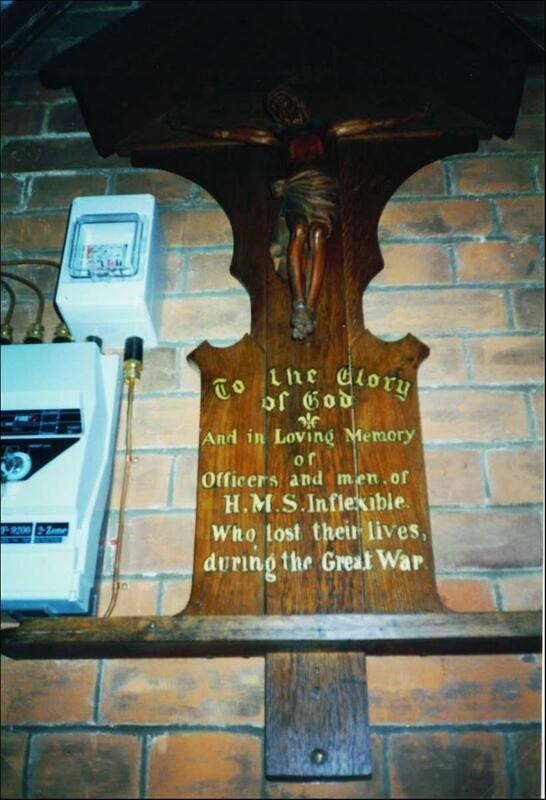 Inscription: To the Glory of God and in loving memory of Officers and Men of HMS 'Inflexible' who lost their lives during the Great War.